3M™ Thinsulate™ Insulation was invented to make living life in every season more enjoyable. Maintain heat in the winter, and keep it out in the summer time. Looking for Residential Window Film? We install for home owners as well! Visit our residential site for more information. Check Out 3M's New Daylight Redirecting Film! 3M Daylight Redirecting Films provide natural lighting deeper inside a building while reducing glare, heat, and fading. 3M™ Sun Control films help keep your building cooler in the summer and warmer in the winter, thereby reducing utility bills. 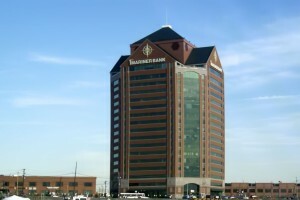 Building owners may claim tax credits for energy efficient improvements, such as the installation of glass films, made to a building. 3M™ Safety & Security glass films help protect building occupants from unwanted entry, bomb blasts, and hurricanes. ATD Solar & Security Inc. is a 3M Authorized Prestige Dealer serving the Baltimore, Washington, DC, and Northern Virginia metropolitan markets. We are a full service dealer; besides offering installation services, we provide product demonstrations, energy analyses, and sales consultations. © Copyright 2012 ATD Solar & Security Inc. 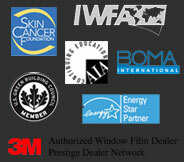 Window Film Dealer and Installer of 3M Glass Films. All Rights Reserved.